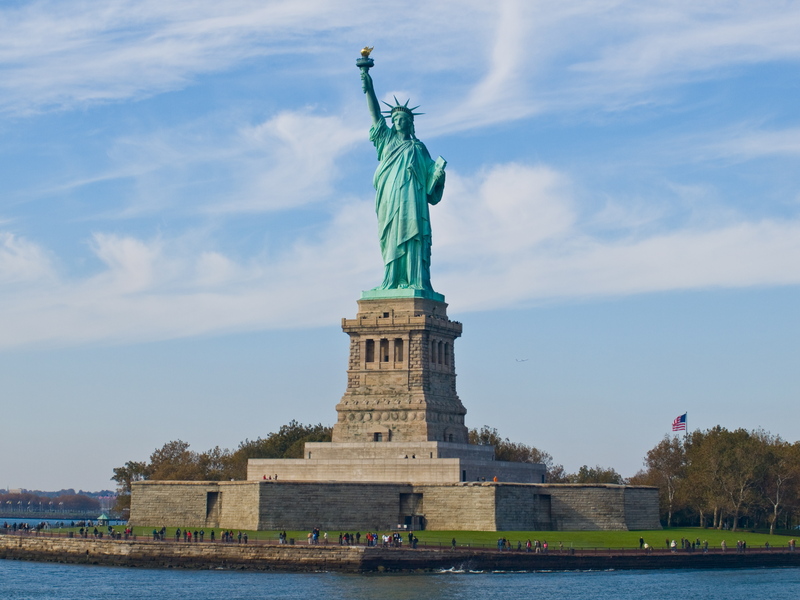 Hornblower is the parent company that services three of North America’s top attractions, including Alcatraz Island in Golden Gate National Recreation Area, The Statue of Liberty National Monument and Ellis Island and Niagara Falls. Because of the popularity of these national treasures, it is highly recommended that visitors buy tickets well in advance of their travel dates in order to secure confirmations and be assured of admittance. Hornblower Cruises & Events has been the leading charter yacht and public dining cruise operator headquartered in California for 35 years. The company operates over 70 vessels, including the three largest dining yachts on the West Coast and has ports in San Francisco, Berkeley, Sacramento, Long Beach, Newport Beach, Marina del Rey, San Diego and New York City. 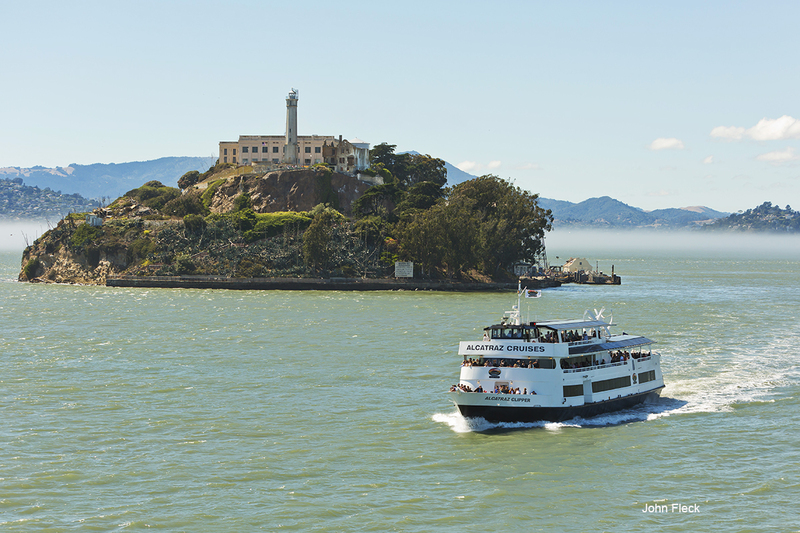 Two Hornblower subsidiary businesses, Alcatraz Cruises and Statue Cruises, are National Park Service ferry concessioners to Alcatraz Island and the Statue of Liberty and Ellis Island, respectively. In 2014, Hornblower began operating the third subsidiary, Hornblower Niagara Cruises, out of Niagara Falls, Ontario, Canada. For more information visit: http://www.hornblower.com or http://www.hornblowernewyork.com. Alcatraz Cruises is nearing the achievement of zero waste status in the year 2015. This accolade is determined by the company’s annual environmental verification and process management results, which are conducted by two international audit and consulting firms. The company’s 2014 recycling program audit results verified a solid 94% landfill diversion and recycling/compost rate in addition to the marked achievement of reaching 96% landfill diversion and recycling/compost rate during some of the calendar months. The company is on the path and striving to reach the achievement of zero waste status by making an instrumental move to 95% and upward for each and every calendar month for the year 2015. The verification audit for the 2015 data is slated for the first quarter of 2016. , An integral part of the company’s mission and corporate philosophy, Alcatraz Cruises’ “Respect Our Planet “ (ROP) program supports the company’s distinction as one of the country’s most conscientious employers because of the commitment to respecting the crew of employees as well as the natural environment. Alcatraz Cruises’ “Respect Our Planet” initiative fosters an innovative corporate culture where we RESPECT OUR PLANET and will protect and conserve the natural resources and ecosystems on which our business depends. The company is committed to preventing pollution, conserving water and energy, reducing waste and educating guests and employees on environmental stewardship. Alcatraz Cruises seeks opportunities to innovate and partner with stakeholders that support the company’s commitment to the environment as well as vendors with green procurement standards and packaging. The company upholds their Respect Environmental Policy by making sustainability initiatives and advancements in each and every department. The list of the company’s “Green Facts” continues to grow with new initiatives added with regard to increasing energy efficiency; reducing fleet petroleum and consumption; supporting sustainable communities; and promoting environmentally responsible products and technologies. Alcatraz Cruises holds the high honor and designation of being the first National Park Service Ferry Concessionaire and member of the Passenger Vessel Association to be awarded the triple certified status of ISO Environment-14001, Quality-9001 and OHSAS Health & Safety 18001. The outside auditors recertify the company’s practices against the ISO standards annually as testimony to the improvements and innovations implemented continuously. The company has won numerous environmental awards for these environmental innovations, such as the Business Times Environmental Award for “Small Business Best Practices” and the Workboat Significant Boat Award. In addition to the progressive corporate philosophy, Alcatraz Cruises launched the Hornblower Hybrid Fleet, which introduced the first hybrid ferry to the United States and San Francisco Bay in 2009. The vessels provide transportation to Alcatraz Island in accordance with their concession contract with the National Park Service. Since that time the remaining two primary vessels in the Alcatraz Cruises fleet have been hybridized, making Alcatraz Cruises the only passenger vessel company in North America with a fleet of hybrid vessels. The continuing development of marine industry hybridization, as well as hydrogen fuel cell technology, demonstrates Alcatraz Cruises’ commitment to innovation, marine conservation, environmental stewardship and sustainability. photovoltaic solar arrays covering the awning on the top decks. That power is converted and stored in battery banks that then power the navigation tools, lighting and other electronics on board the vessels. Excess power is stored in the main propulsion battery banks. In addition to solar panels and wind turbines, the Hornblower Hybrid Fleet has Tier 2 marine diesel engines. These cleaner, fuel‐efficient engines reduce the amount of diesel fuel used, minimize emissions and significantly reduce the company’s overall carbon footprint. The customized drive system allows the captain to monitor the energy needs of the vessel and select the most efficient power sources. For example, when the boat is idle at the dock the engines will shut off and the motors will run off of energy stored in the battery banks. Alcatraz Cruises considered several different designs before selecting this particular system. Of greatest importance, was the need to build a system that maximized the weather patterns on San Francisco Bay. This vessel system has been designed to be modified as technologies are improved and/or refined. Alcatraz Cruises offers daily round trips to Alcatraz Island as the concessioner of ferry service for the National Park Service. The contract for this service began in September Alcatraz Landing, the departure and return location, is located at Pier 33 on the Embarcadero, between Bay and Chestnut streets. Tickets can be purchased online at www.alcatrazcruises.com or by calling 415‐981‐ROCK (7625).